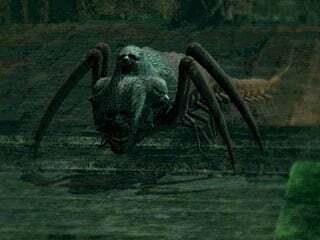 Man Centipede is an Enemy in Demon's Souls. Smaller in size and with fewer faces than their relatives, the Giant Man Centipedes. These little guys rush at you and attempt to sting you. They will sometimes also spit acid, which degrades armor and equipment.